Being a family with small children we especially appreciated the garden in front of the property. 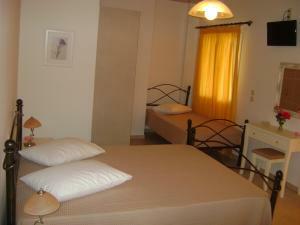 Addiotionally, the room was spacious, clean and well equipped and the location was very good. The hosts were always kind. Vasso was our host. She was waiting for us when we arrived. She is very kind and welcoming. She loves to prepare lemon juice from the lemons she has in the garden and surprised us with some lemonade when we arrived and during our stay. The rooms are very comfortable with a nice terrace and nice view. very nice host. very clean. very good location. 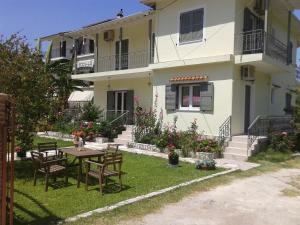 it is very close to the old town and near the tavernas and shops. 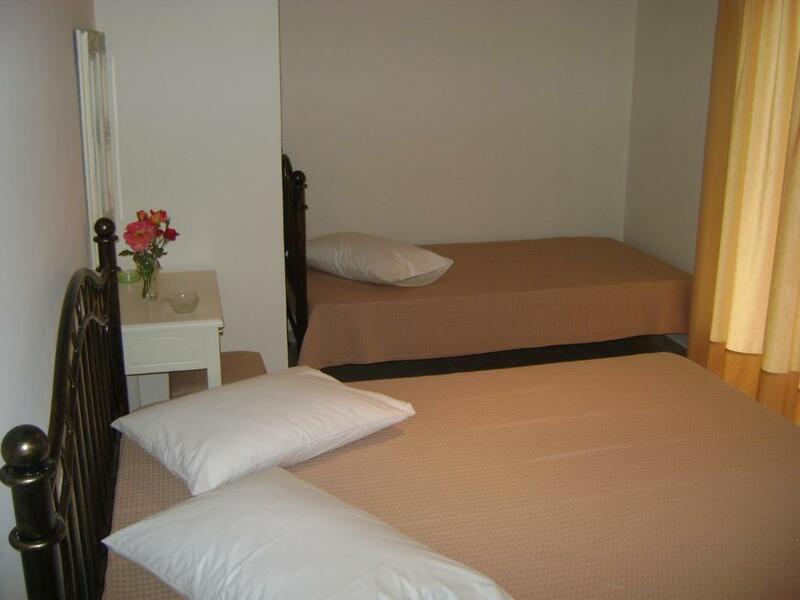 Excellent positioning, the estate was nearby the city harbor, while also being easily accessible by car; Very convenient parking in the yard; The room was generous, well equipped and very tidy. Also, the backyard patio was fairly large and comfy; The hosts were kind and welcoming. Very close to the beach. The balcony and the garden were great for breakfasts and dinners and a lot of safe playing for the children. There are also bikes available for the guests. sehr nette Unterkunft, ruhig und doch ist man in 2 min. im Zentrum. unglaublich nette Gastgeber, man fühlt sich wie zu Hause ! und vielen dank für die Kräuter an die Gastgeberin :) Zimmer super mit allem was man braucht, und sehr sauber ! Sogar Olivenöl, salz, pfeffer usw. waren vorhanden ! Insektenschutz an allen Fenstern inkl. Balkontüre! Kommen gerne wieder ! Este o locatie excelenta, liniste,curatenie,o gazda foarte primitoare si atenta fara sa deranjeze. Facilitatile au fost pe masura asteptarilor. Vasiliki este o locatie superba ! O recomand din toata inima ! Lock in a great price for Vasso's Studios – rated 9.5 by recent guests! Located 500 feet from the center of Vasiliki and its beach, Vasso’s Studios offers self-catering accommodations set amid a flower garden with BBQ facilities and an outdoor dining area. 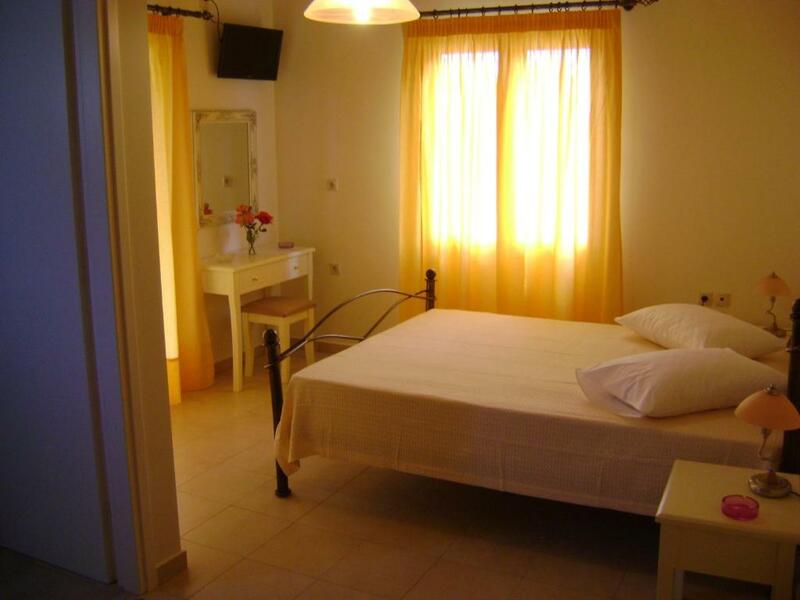 Vasso’s Studios are air conditioned and simply furnished, each with a private balcony overlooking the garden. 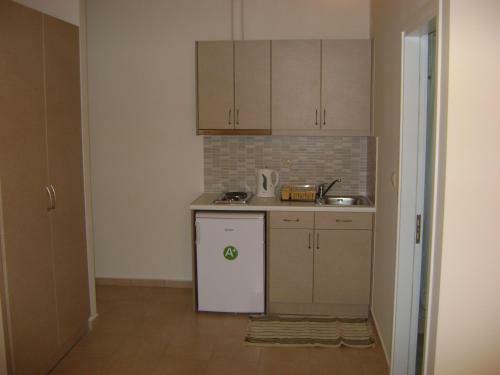 They come with a cable TV and a kitchenette equipped with cooking rings and mini fridge. 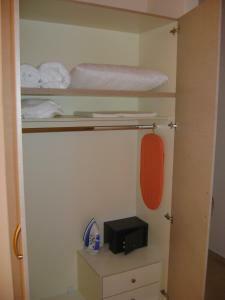 All studios also have a private bathroom with bathtub or shower. The beach of Vasiliki is very popular among windsurf lovers. The town of Nydri is 12 mi away and connects to the neighboring island of Meganisi. Private on-site parking is provided free of charge. 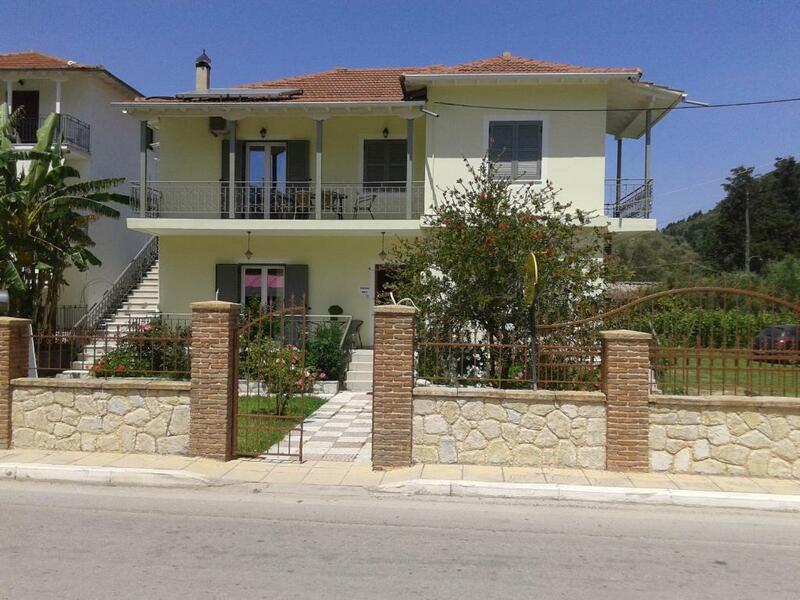 뀐 Located in the top-rated area in Vasiliki, this property has an excellent location score of 9.6! 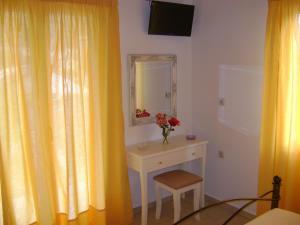 When would you like to stay at Vasso's Studios? Air-conditioned studio with a furnished balcony overlooking the flower garden. It includes a kitchenette, cable TV and private bathroom with hairdryer. Offers free WiFi. This first-floor, air-conditioned room has a stovetop, kitchen and balcony. Includes a 24'' flat-screen TV and hairdryer. Offers free WiFi. This apartment features a sofa, private entrance and washing machine. House Rules Vasso's Studios takes special requests – add in the next step! Up to two children from 4 to 10 year are charged EUR 15 per person per night for extra beds. Something to be improved is to have some information from host about what can be done around Vasiliki when you arrive, especially if you don’t arrive with a car. The WiFi coverage was really bad. Most of the time it didn't work at all. The Wi-Fi connection left a lot to be desired, being almost frustrating at times.